Every homeowner who owns a garage will eventually need to have something repaired or replaced. When that happens, there's no one better to call than our professional team. Check out some of our latest projects. Customer Issue: The garage door moving slowly and seems to be straining a lot to do so. Customer suspected it was an opener issue. 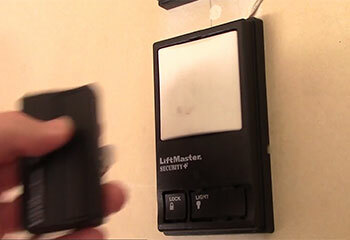 Our Solution: After ruling the garage door opener out as a possible culprit, we took a close examination of the different hardware parts involved in the door's movement. Soon after that we discovered that a lift cable had gotten snagged on something which was impeding the door's movement. The cable was significantly frayed so replacing it was required. 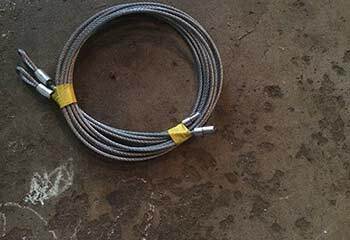 We had an appropriate durable cable with us so the problem was solved very quickly. 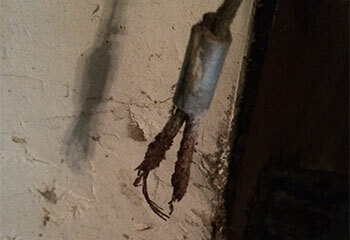 Customer Issue: At least one lift cable became visibly frayed and rusted. The customer feared it would soon break. Our Solution: After making sure there weren’t any other issues, our technicians unplugged the opener, locked the door, and unhooked both units from and pulley forks. The forks required some rust removal themselves before the replacement cables were installed. 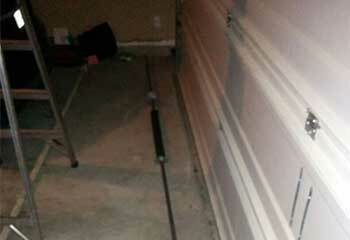 Customer Issue: The customer’s garage door stopped working and needed to be repaired. Our solution: Our team disconnected the opener and removed the remaining parts of a broken spring. 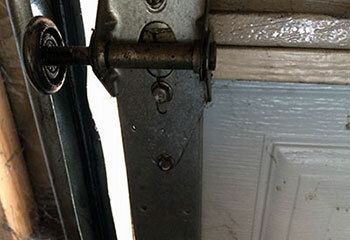 We then replaced both springs with new, more durable torsion springs and tested the door for proper operation. The customer was extremely pleased with the results and the low cost of our services. Customer Issue: The customer's door would not open. Our Solution: Our team discovered that many of the rollers had broken causing the door to bind up and not move. We replaced the rollers with new super quiet nylon rollers with 13 ball bearings, a lubrication groove, and are rated at 20,000 cycles, nearly three times normal roller operation. Customer Issue: Her remote control had stopped working. Our Solution: After our technician examined the customer's remote control and checked the batteries, he made sure that there was no surrounding electrical interference. He then cleaned and reprogrammed the control and it worked perfectly to the customer's delight. There's no one better than our professional teal when it comes to repairing garage doors to perfection. The products we sell are of the highest quality and we work with all of the industry's leading name brands. We make an effort to get to your home as quickly as possible. We never compromise the well-being of any of our customers.